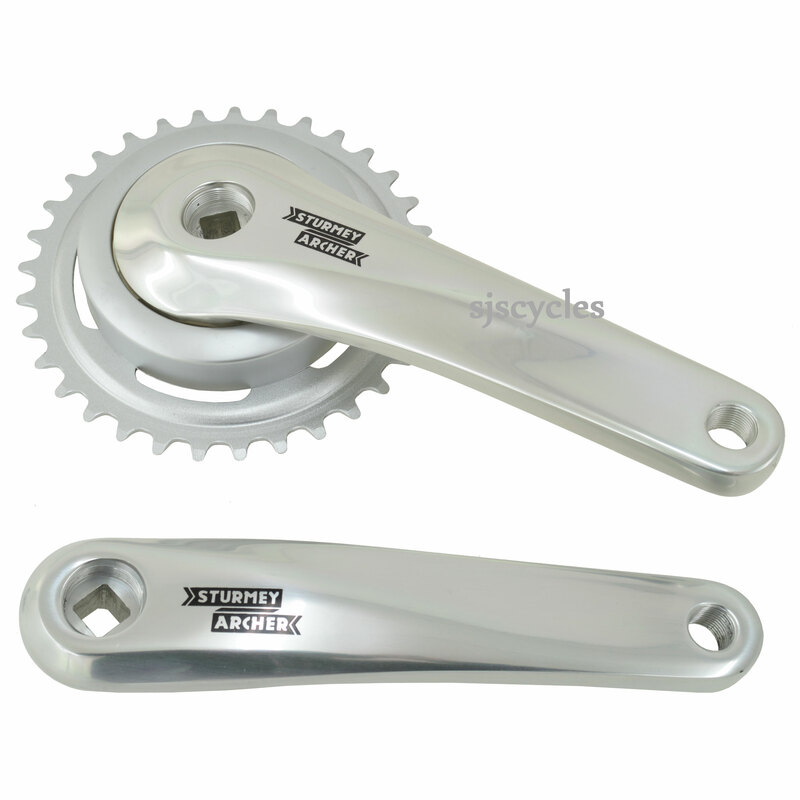 - Chain Size: 1/2" x 3/32"
Dose this require a JIS or ISO BB, is the chainring replaceable. Thanks. The chain ring is non-replaceable. The square taper is JIS fit. will this work with a sturmey archer 5 speed and do you have any pictures? This chainset will be fine for use with a Sturmey Archer 5spd hub. You can request a picture by clicking the 'Email me a photo' option below the image.